Fill out the Online Enrollment Application Form or call 1-800-993-CAMP and we will immediately send you an application form for the Sho-Me Baseball Camp . Be sure to answer all questions and medical information. Send in the application along with the $250 non-refundable deposit per session. (If you enroll using the online form, follow the directions given on the form). Once we receive your deposit and application, we will send you a confirmation letter, a medical history form, a transportation form, and further reporting instructions. You will then be confirmed. Certain weeks are sellouts; therefore, you should try to make your plans well in advance. The order in which applications are received determines the order of acceptance and position on the waiting list. Check-in is Sunday 4:00 to 6:00 p.m. and check-out is Friday at 12:00 p.m. If you wish, our camp van will meet you in Springfield, Missouri at the Springfield/Branson Regional Airport or bus terminal. We would appreciate plane and bus arrivals between 10:00 a.m. and 4:00 p.m. as it is a 100 mile round trip from the camp. Boys coming to camp by commercial transportation into Springfield will be picked up in our Sho-Me van for a $25 charge each way. All tickets for return trips are to be turned in to the camp office. We will see that the camper and his luggage are on board the correct transportation for the return trip home. Additional information will be sent after we receive the application. If a camper needs to arrive a day early because of airplane fares, or stay a day longer, there is a $100 per day charge, (includes meals). The age groups are 8-10, 11-12, 13-14, 15-16 (Advanced Camps) and 15-18 (Exposure Camp). 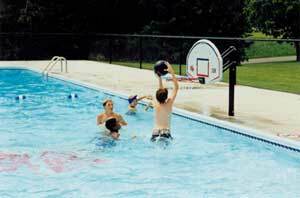 Campers will generally play in their own age groups. We reserve the right to move a camper up or down according to his ability level. We at the Sho-Me Baseball Camps take great pride and special interest in our young campers 12 and under by teaching them the proper fundamentals and techniques with the primary focus on learning the game while having fun. Therefore, the 12 and under groups will be carefully supervised and receive extra personalized attention. EVERYONE - Baseball Glove, Bat, Hat, Baseball Cleats (rubber cleats ages 12 & under), Socks, Baseball Pants, Practice Shirts, Tennis Shoes, Shorts,Supporter and cup, Swim Suit, Towel, Sun Screen. BOARDING CAMPERS - Twin Bed Sheets or Sleeping Bag, Pillow, Blanket, Bath Towels, Toiletries, Shower Shoes. CATCHERS - Please bring catching gear if available. 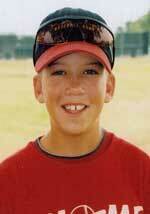 The Sho-Me youth baseball camps have coaches, counselors and supervisors who provide 24 hour security at the camp. The coaches, counselors and supervisors live on the premises and in the dorms with the campers. A camp health form must be signed by both the camper's doctor and parent. This form will be sent upon receipt of an enrollment form together with the required deposit. Each student is provided with secondary accident insurance while attending the camp which is included in the tuition of all campers. A camper's family health plan or insurance provides the primary coverage. 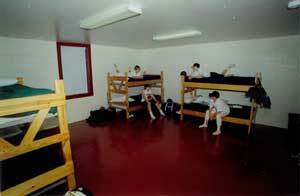 The campers are lodged according to their age groups in air conditioned dormitories. 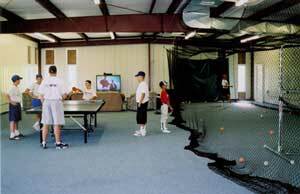 From past experience we know how important it is for the campers after a hard workout to be able to relax and cool off in an air conditioned room. This provides for great comfort and good morale. 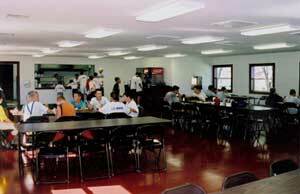 Campers are provided three nutritious, well-balanced, all-you-can-eat meals a day. Various meats, fresh fruits and vegetables, desserts and milk are served at every meal. Only the highest quality products are used. All spending money should be turned into the camp office at the time of registration. A withdrawal account card will be kept on each camper. Campers may charge items at the Pro Shop against their account, and also may withdraw cash for the vending machines, laundry, or pizza. Most campers will find $50-$75 per week sufficient spending money unless they desire to purchase more expensive equipment from the Pro Shop. Instructors at the camps have wide baseball experience which includes coaching or playing at the Major League, Minor League, or collegiate level. All campers receive excellent training in any of the baseball summer camps. Campers will play in games during the week. The campers will play different positions besides their normal position. This is a great opportunity for the campers to learn new positions during game situations. "The camp was great! I learned so much and had the time of my life. The coaches were good, caring and very professional. 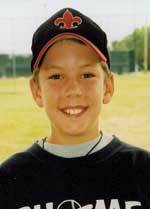 They taught me so much about baseball and gave me confidence in myself." "I think the Sho-Me Baseball Camp is a good camp because of the coaching staff, ball fields, rec center, dorm, and the cafeteria food." "I liked the games the best because I could put the skills I worked on to use in a real game situation. 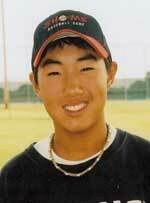 I will always remember the friends I made, the coaches and counselors, and all of the fun I had at Sho-Me." 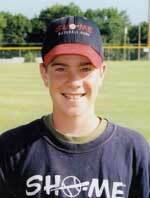 "I think that Sho-Me is a great place to go and learn the proper fundamentals for all baseball positions. 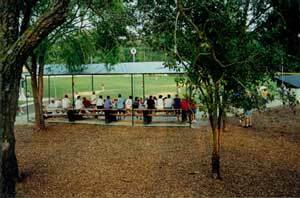 It is a great place to make new friends and even get the chance to meet former major league baseball players. Sho-Me is the next best thing to stepping on a professional baseball field." 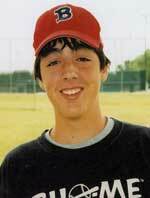 "What I like best about the camp is seeing people you know from past years, how friendly everybody is, the night games then pizza afterwards, the wiffle-ball games. 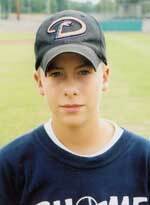 The best part is just playing baseball and having fun."